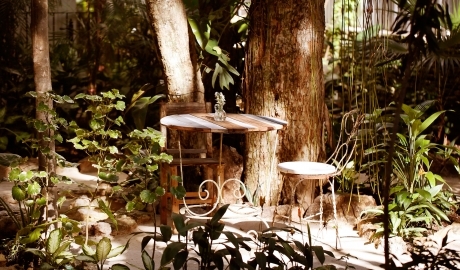 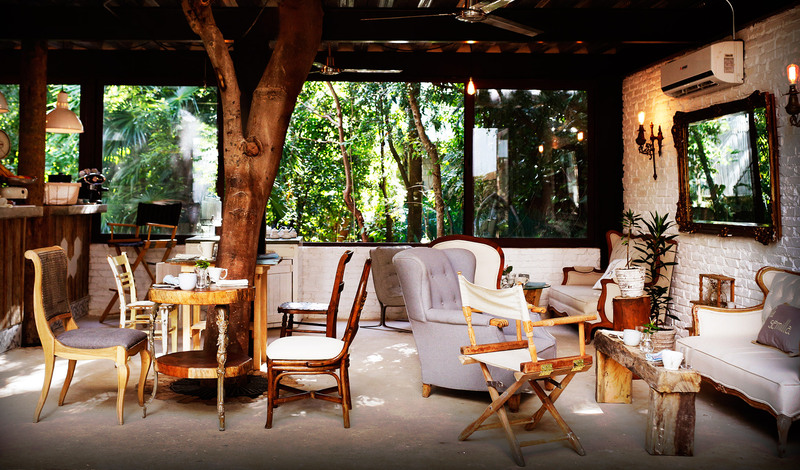 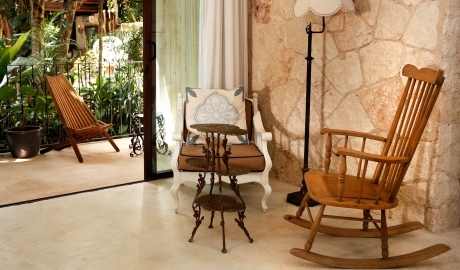 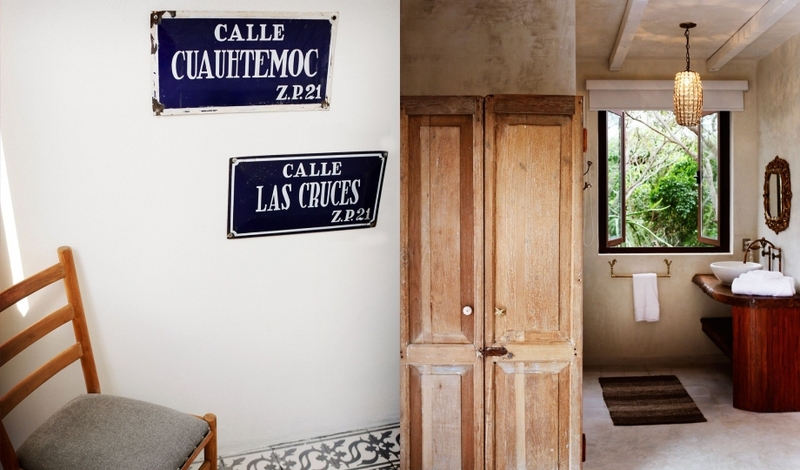 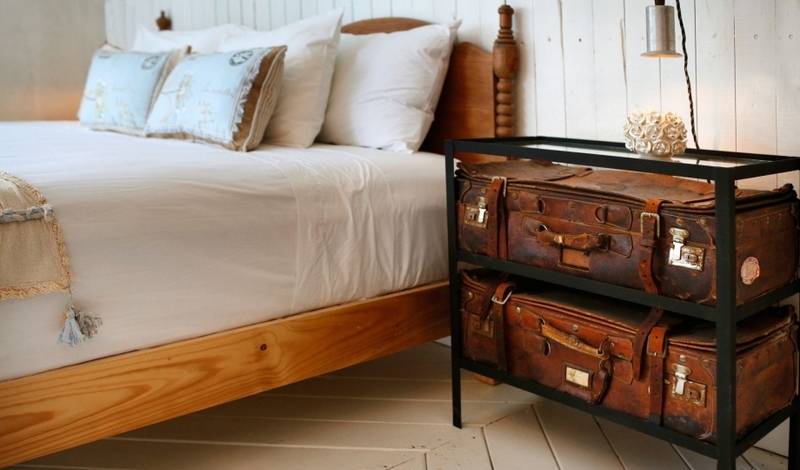 —Vintage Mexican furniture and carefully curated flea market treasures give soul to this adults-only hotel in the trendiest part of Playa del Carmen. 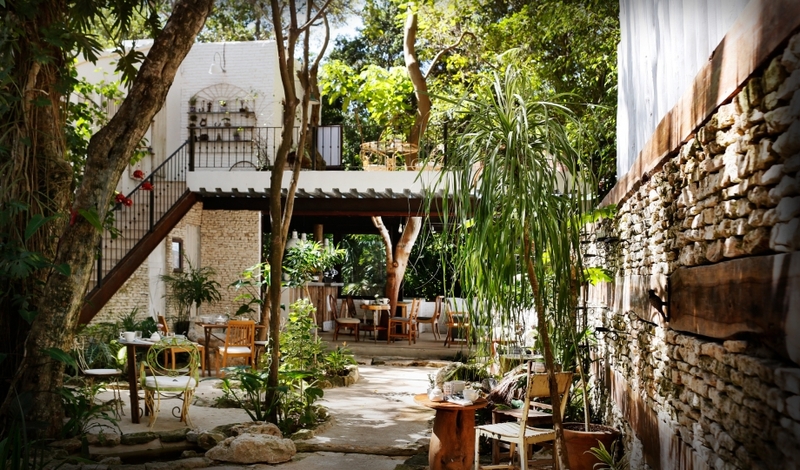 If Hotel La Semilla seems distinctly Mexican and broadly global in flavor, it’s because the owners Alexis Schärer and Angie Rodriguez, both world citizens who have lived in many countries, intended it to be just that. 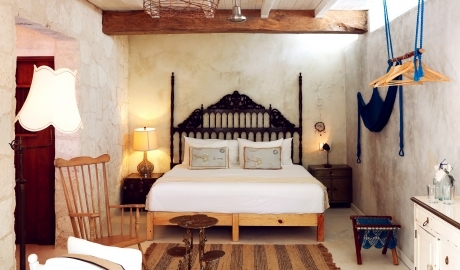 With strong respect for the local culture, the couple has infused Hotel La Semilla with a sense of Mexican heritage and style thanks to vintage Mexican furniture and the finest flea market finds from haciendas in the Yucatan region and from around the country. They’ve also given the hotel a laidback simplicity with lots of lounging spaces where mismatched pieces of furniture, such as in the Cocina Loft restaurant, create the feeling of relaxing at a friend’s house. 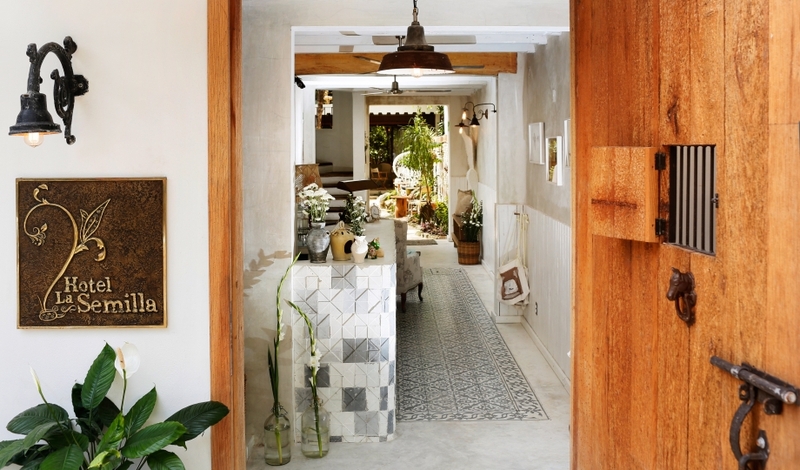 To add to the homey atmosphere, the owners are on hand in the Cocina Loft, either serving breakfast (the only meal served at the hotel) or for a chat. Guests are also encouraged to explore the owner's favorite restaurants—ones that offer up a truly local experience—or to bring their own food and beverage into Hotel La Semilla to be enjoyed in any of the lounge spaces or even in the garden surrounded by candles. 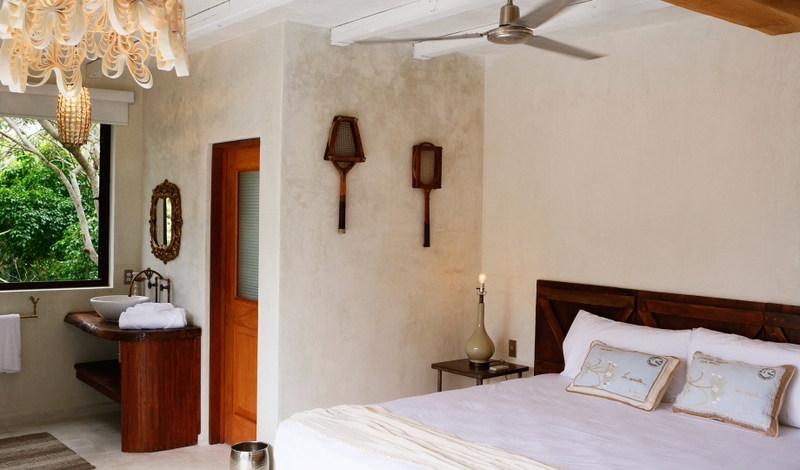 At La Semilla, the timeless white palette throughout translates into a seaside chic that could be home on the shores of the Atlantic, the Aegean, or here on Caribbean. 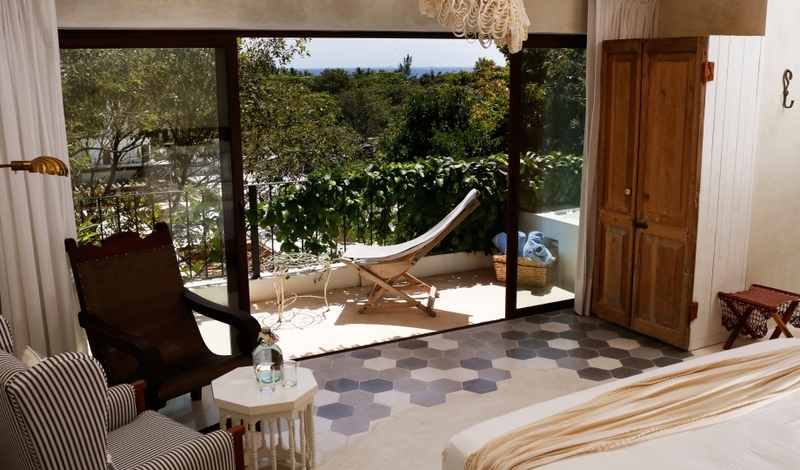 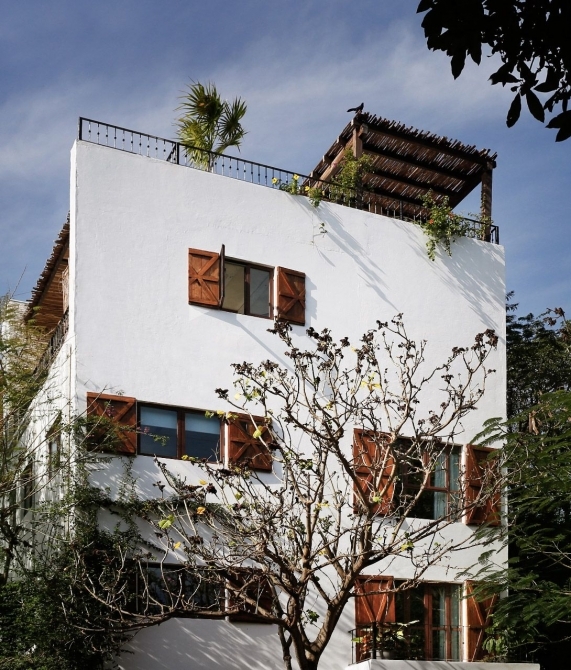 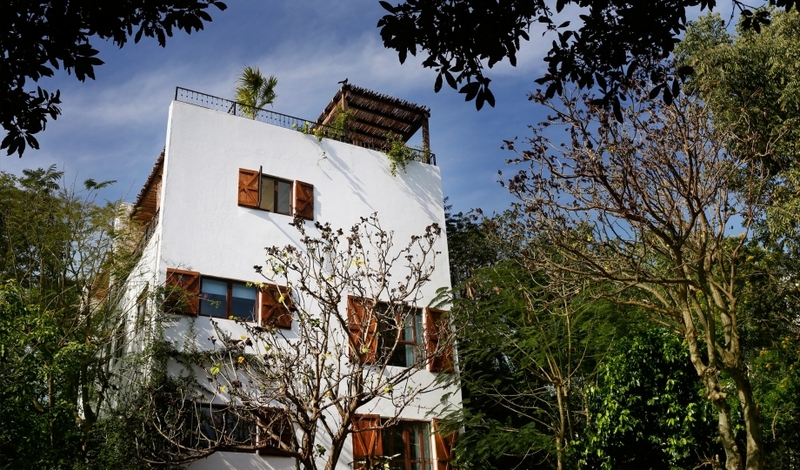 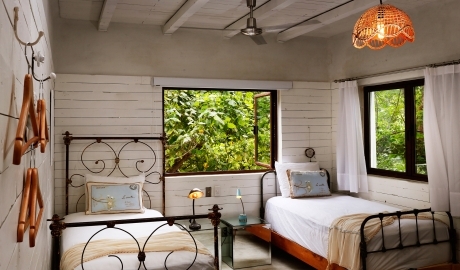 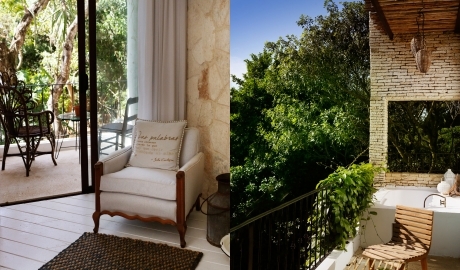 The nine rooms and suites range from the 20-square-meter Cuartitos room to the 38-square-meter Suites Terraza. While the 23-square-meter Cuartos room and the 38-square-meter Suites Terraza each boast a king-size bed, the Cuartitos room and the 25-square-meter Cuartoz Terraza rooms both offer a queen-size bed. 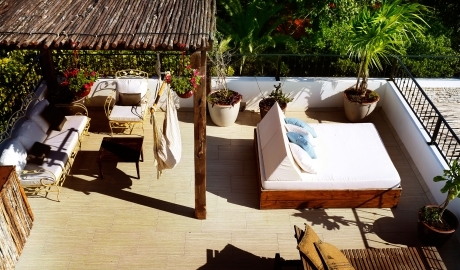 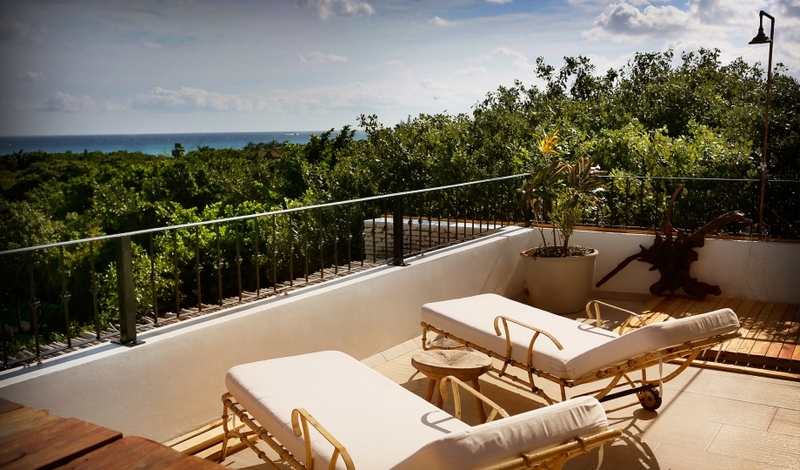 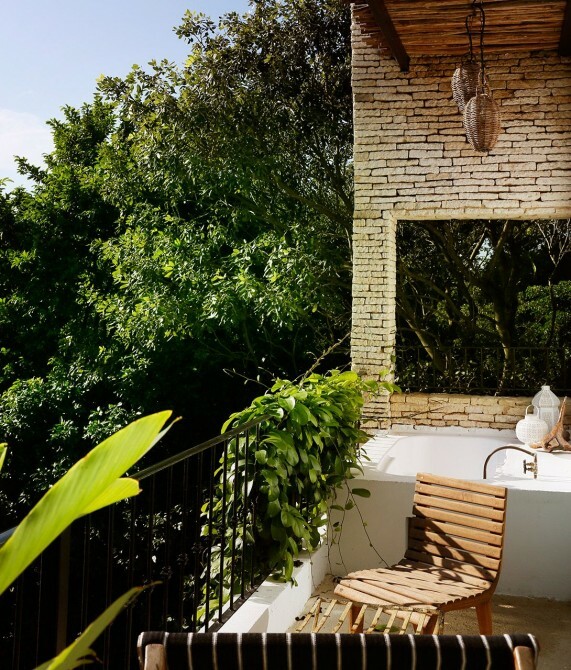 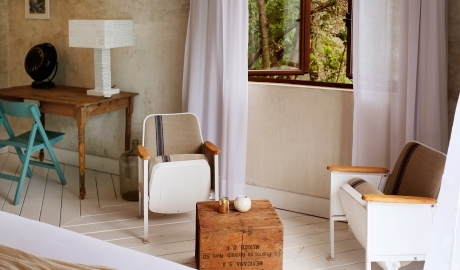 The Suites Terraza also plays host to either an outdoor bathtub or shower; the Cuartos room includes a sitting area; and the Suites Terraza and Cuartoz Terraza have terraces with sitting areas. 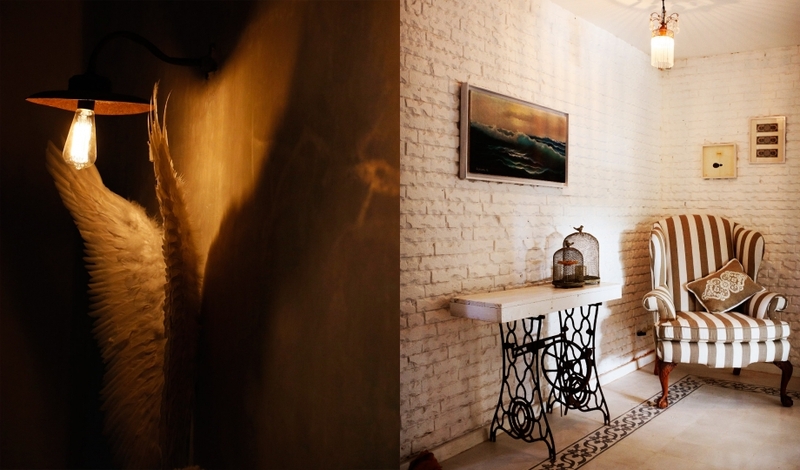 Restored antique furnishings and mosaic tiles in rich colors and materials contrast concrete floors and white brick walls, while the occasional chandelier adds a surprise touch of glamour. 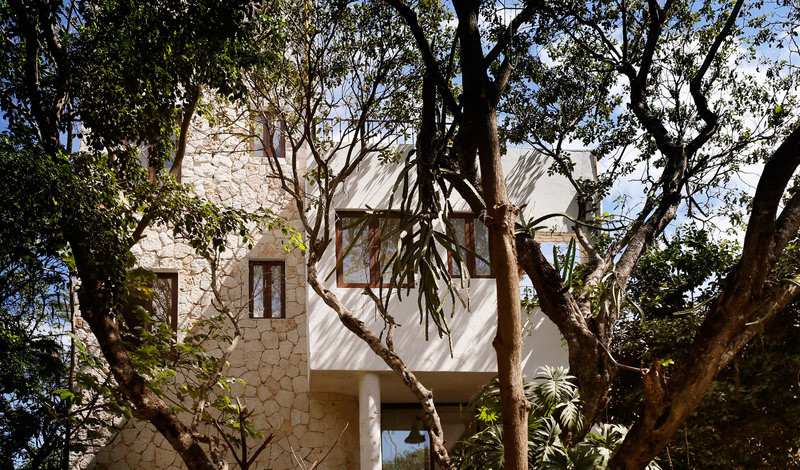 Apart from the Swiss-inspired wooden shutters, the building is typical of the area, with a white geometric form and materials such as natural stone and polished concrete. It sounds like a movie—a globetrotting couple starts working at The Plaza Athenee Hotel on the same day, become fast friends and discover they both want to open their own hotel. 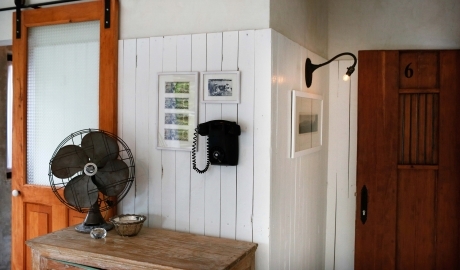 But you could say hospitality was in their blood. 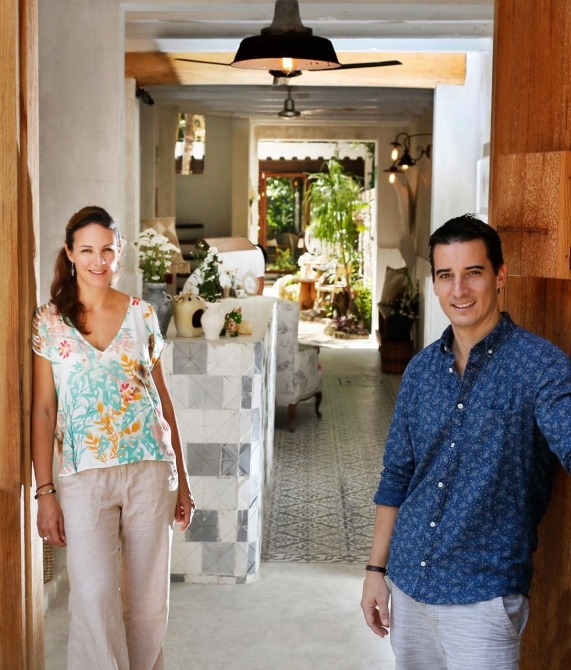 In Alexis Schärer’s case, he grew up in the hotels his father ran and later the same career choice took him to London, Mallorca, and St. Moritz, amongst others. 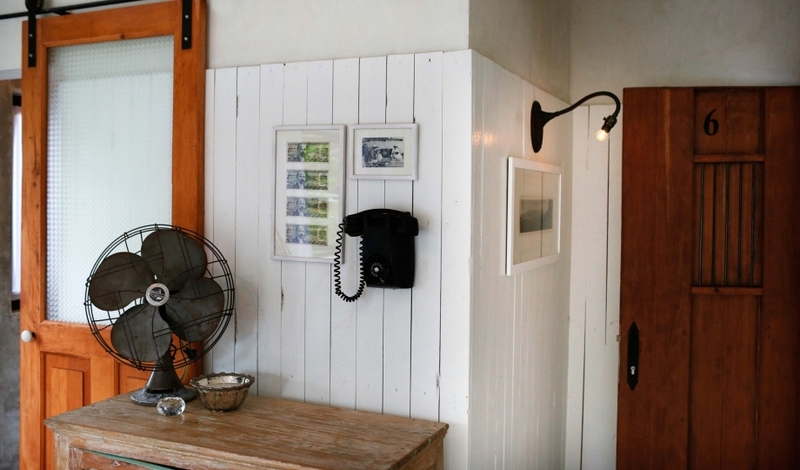 Mexican-born Angie Rodriguez studied hotel management too but also tried her hand at photography, jewelry design, and painting. 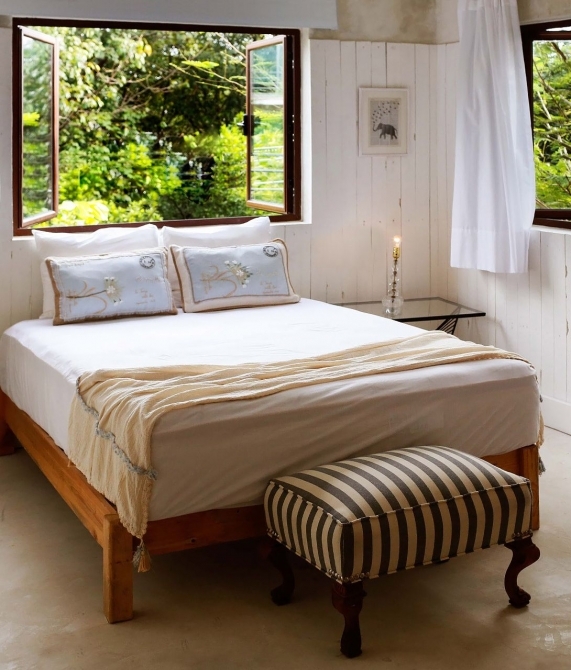 It seems just the perfect ending then that they found their little piece of paradise, Hotel La Semilla, in which to pour all of their cumulated passions and experiences.